I am a writer, author, and columnist. My Twisted Writer Brain…Whaddya Mean I Didn’t Win? What the…? There must be some sort of mistake. 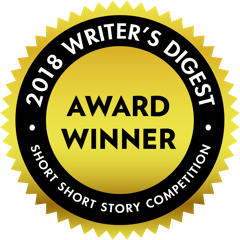 I know my story was destined to be the winner of a recent contest and it makes absolutely no sense that I didn't even make the list let alone take top honors. There's only one explanation and that is that the judges must've missed it or… Continue reading My Twisted Writer Brain…Whaddya Mean I Didn’t Win? Auntie Says…Who (and how) are you Going to Tell? Sometimes I think I’m the luckiest Auntie in the world. Last April I received a phone call from my niece Leesa. She’d just taken a pregnancy test and it was positive. “I don’t know what to do,” she said. “I’ve been walking around in circles for the last hour. I needed to tell someone.” She was… Continue reading Auntie Says…Who (and how) are you Going to Tell?